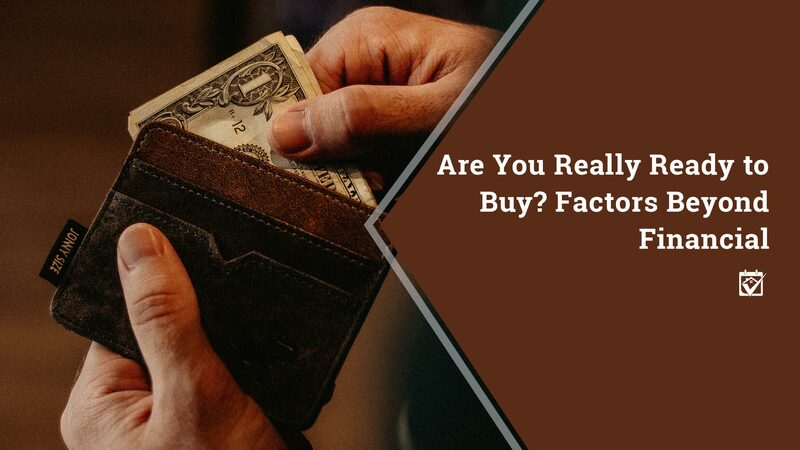 There are far too many articles out there that discuss home buying readiness in terms of dollars and cents, neglecting all the other things that are involved in a truly successful homeownership experience. So, we’re going to assume you’re able to qualify for a loan and just skip that part. You’ve read enough of that by now, that’s old news. What even drives us to buy? Two main things: an urge to increase our social standing and a hope to give ourselves some kind of financial security. Theoretically, right? At the end of the day, that’s what it amounts to. In some economies one or both of those may be on pretty shaky ground, but they’re always beneath it all. Before you get there, let’s do a reality check. Wanderlust Think of buying a house a little like getting a tattoo. It’s not a thing that’s easily undone. Even if you just walk away, you have a foreclosure hanging over your head for years and years, your credit’s damaged, you could even owe some balance from the sale of that house (depending on the local laws). If you have wanderlust left in you, get it out now. Go live in Nepal while you can, because once you buy, you’re going to have to live in it for a while. That’s not to say you can’t visit Nepal, but you can’t stay around for months on end once you have a mortgage that has to be paid. Emotional Maturity Living in a neighborhood with people you can’t easily move away from also requires a bit of emotional maturity. The guy across the street may drive you nuts because he loves bright, annoying Christmas lights. Don’t punch him in the face, just hang some blinds. In addition, learn to tame your inner worrier. All houses have problems, every single one, even the brand new ones. So when you notice that the air conditioner’s condensation line is backed up, take a deep breath and get to flushing it or call in a pro. In short, don’t panic, there’s a solution to everything. Career Security All jokes aside, it’s really very important that your career is fairly secure before you jump into a mortgage that’s 30 years long. If you hate what you do or you’re not really sure you want to do it over the long term, you may not want to commit to a mortgage just yet. Maybe wait until you get that first year under your belt and see if what you learned in class is anything like what the field really is in practice. If you would need to return to school or move out of state to find a new opportunity, it could be very difficult while trying to maintain a mortgage. Relationship Security The thing no one wants to say to you is the thing this blog is going to say right now. Is your relationship really sure enough to be buying a house with that person? No, really. This is on the level of having a child with someone, it’s a huge financial commitment and one that could obliterate you for years and years if things soured quickly. Whether you’re married or not, make sure this person is one you can count on for the rest of the term of that loan, as romantic as that notion may be. You’re in this mortgage together, make sure it’s an equal partnership.